Linen Hand Towels are the perfect hostess or housewarming gift! 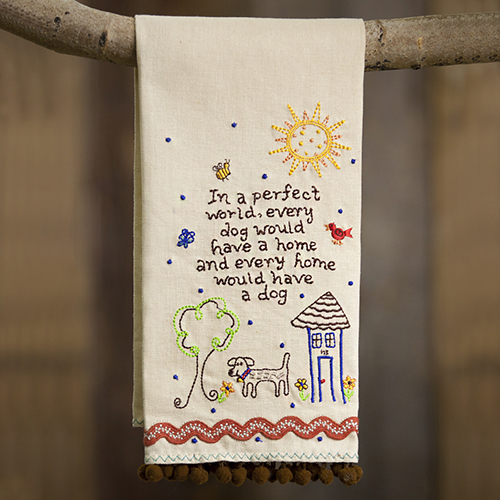 This Natural Life Blessed House Linen Towel is yellow with the sentiment “this house is blessed with family, friends, love and laughter” with an embroidered house and flowers. 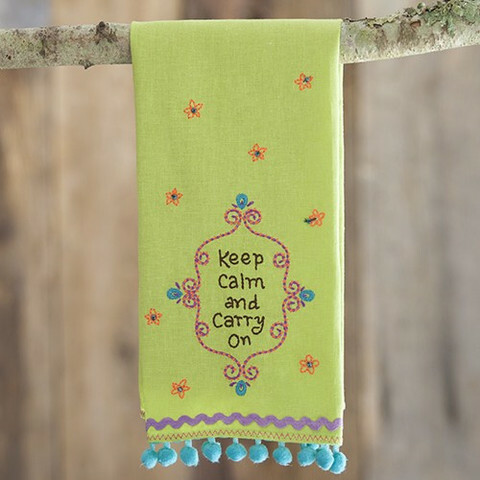 This towel also features colorful embroidery, red ricrac ribbon, and blue pom pom trim embellishments. They are so cute decorating a kitchen or powder room. Even more, the sweet sentiments and fun designs help to create a special heartfelt gift! At Natural Life, we inspire girls and women to live their natural lives! Living a natural life is about finding your passion, being yourself, doing what you love and enjoying the little things in life that mean the most! As a result, Natural Life has evolved into a family of passionate people who share a mission to live happy and be awesome in every way. Give, love, laugh and be happy!